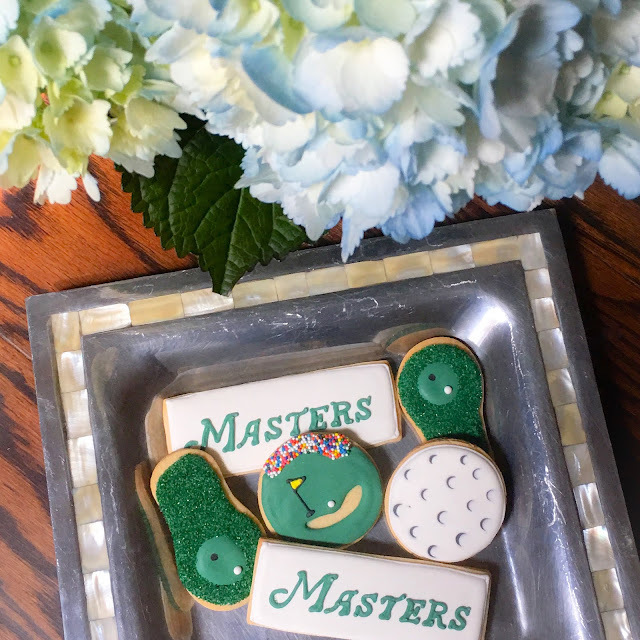 It's Master's week!!! I'll be heading to August later this week and can't wait! 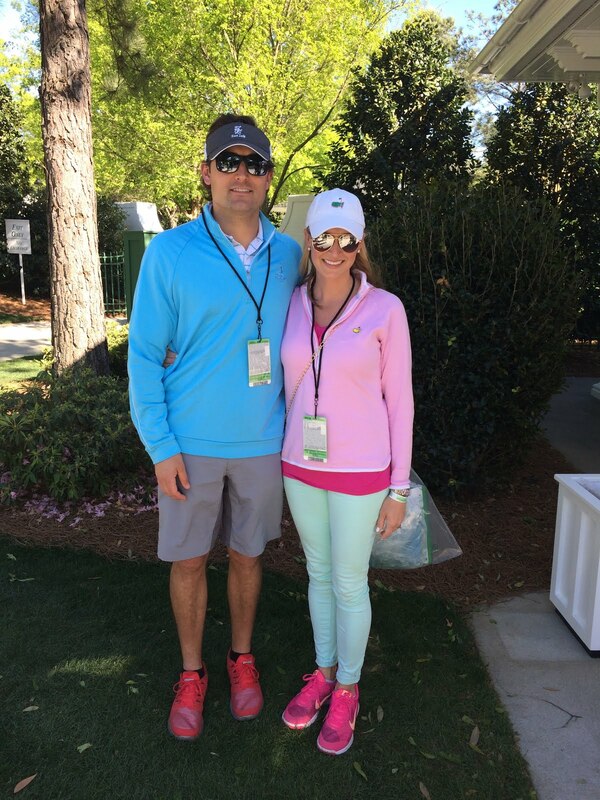 I don't follow golf year-round, but I love The Masters and feel so lucky when I get to attend with the Mr. Just being there on the beautiful grounds, enjoying the amazing weather and seeing some of the big names is super fun! I've shared about our Masters experience a few times before (HERE, HERE, and HERE), but this year wanted to share tips for anyone that might be going and more specifically, girls who might be heading there for the first time. I know you want to look cute. You probably have a cute little sundress and some darling sandals you are tempted to wear, but listen to me. Don't do it! 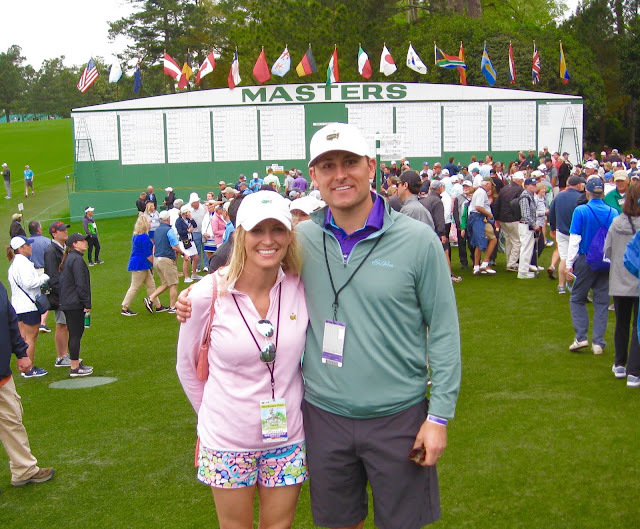 Before I went to my first Masters I talked to a friend who had been many times before and the best advice she gave me was to wear sneakers. She was right! 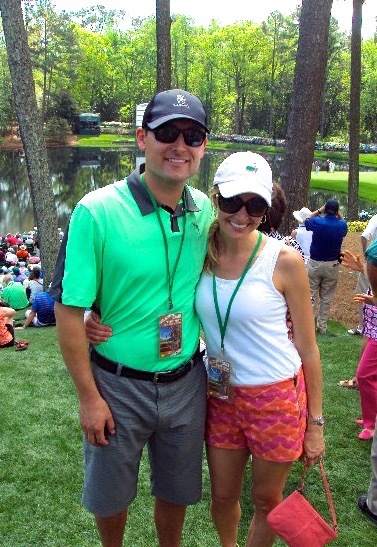 You will literally see it all...people decked out and dressed to the nines and people wearing shorts and tennis shoes. There is lots of Lilly Pulitzer, lots of Vineyard Vines, and tons of other preppy, southern styles. I generally like to wear a nicer pair of shorts, but definitely sneakers. There is SO much walking. And SO many hills. And chances are that the guys you are going to be with are not going to slow down because your feet hurt. Just trust me on this one. So this kind of goes along with what to wear, but I would say don't forget to bring sunglasses, a hat and put on sunscreen. Even though there are a lot of beautiful trees and shade on the course, there is also a ton of sun! 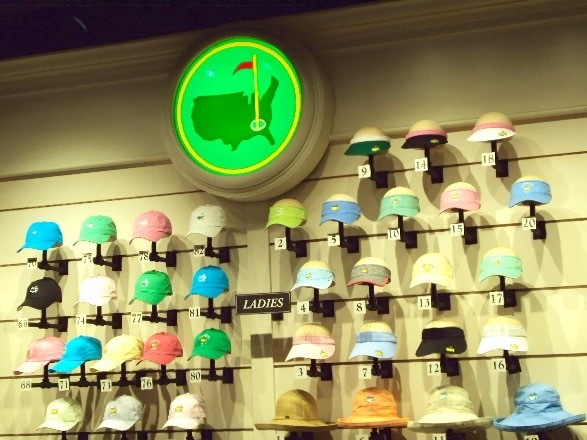 I'm a girl that loves a hat, but lots of ladies will be wearing hats or visors. Small bags are permitted (10 x 10 x 12) so I usually bring a small clutch just so I can keep my ID, money, chapstick, etc. with me. If your guy is like mine, they often like to put shopping off to the end, but make them go early! First off, things sell out later in the week so the sooner you get there the more of a selection you will have. Secondly, the lines get much longer as the day goes on. There will be a huge line just to get inside. Chances are you have a list of things to buy for others who knew you were going so write it down (with sizes) and bring it with you so when you get in there you can remember it all. There are SO many awesome items, but it can be overwhelming. I used to always like to get something to wear, but now I've started thinking outside of the box and love items that I can use year round. We love the beach towels, koozies, wine glasses, key chains and last year the Mr. surprised me with a wallet for Mother's Day which I use daily! Another thing to know is you don't have to carry your purchases with you all day. There is a check stand so you can know your things are safe and come back and get them before heading home for the day. This one pains me. It is one thing I would change because I feel so cut off from everyone. Not so much from the world, but I always worry about my kids' teachers/schools/coaches trying to get in touch with me and my phone not being anywhere near me. Honestly though, it is nice to not have the distraction of phones and to just enjoy each other's company and conversation while out on the course. Here's a tip though, they have little check stands at the entrances where you can check your phone. 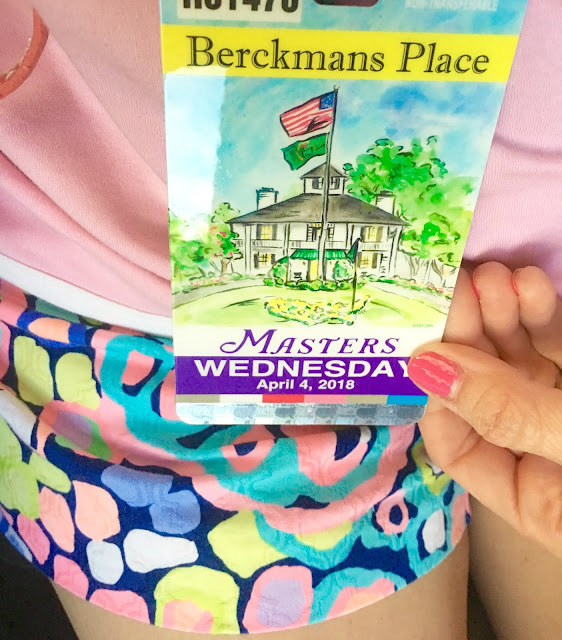 If you drive and park right outside the gates then it isn't that big of a deal to just leave it in your car, but if you stay further away and take a hotel shuttle or something, just know you can keep your phone with you until almost the last minute. 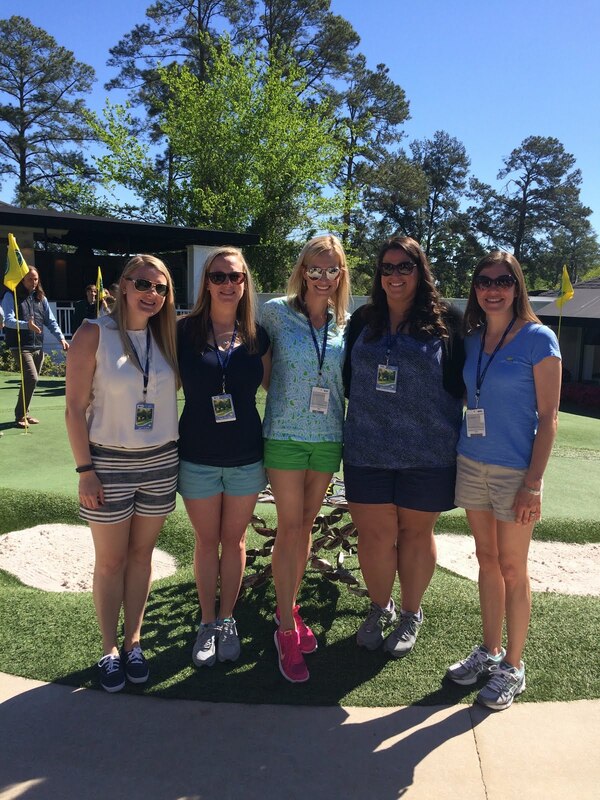 I love going on practice round days (Monday - Wednesday) for several reasons. The atmospheres is generally more relaxed on those days and you can bring cameras, too! 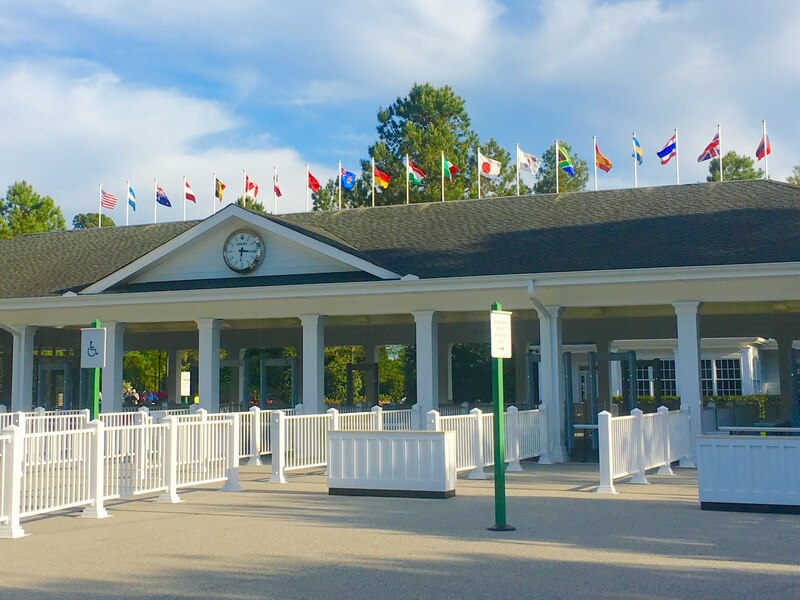 You will probably have to dust off your old school camera since we are all so accustomed to using our phones to take pictures now, but it will be worth it to get a shot in front of some of the famous holes and in front of the iconic leader board sign! The food there is so cheap! 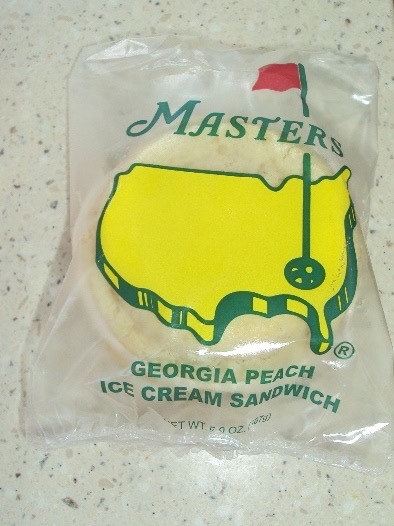 I love the BBQ sandwich and the Georgia peach ice cream sandwich for dessert. 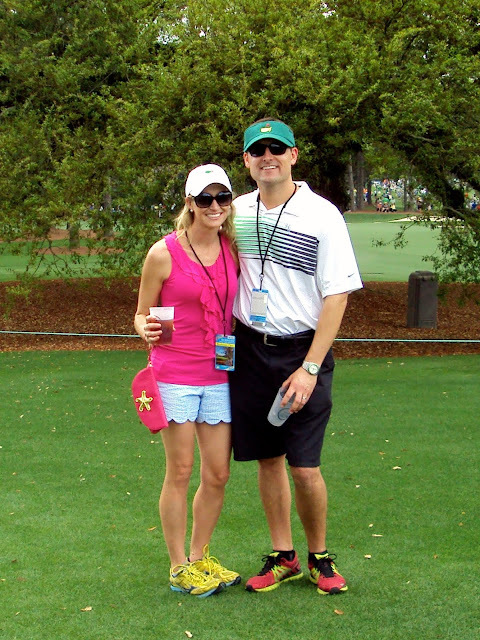 Aside from non-alcoholic beverages they only serve beer on the course. Just FYI if you are a wine girl like me. That is unless that is you happen to be lucky enough to have Berkmans Place passes. In which case you can get anything you want to eat or drink. Imagine a ton of really nice restaurants, all under one roof. Try an Azalea cocktail if you can! They are yummy! I don't know what the ratio is, but there are WAY more guys there than gals. Not a big deal at all, just enjoy it when it's time to use the restroom. You'll walk right in while they are waiting in a long line! 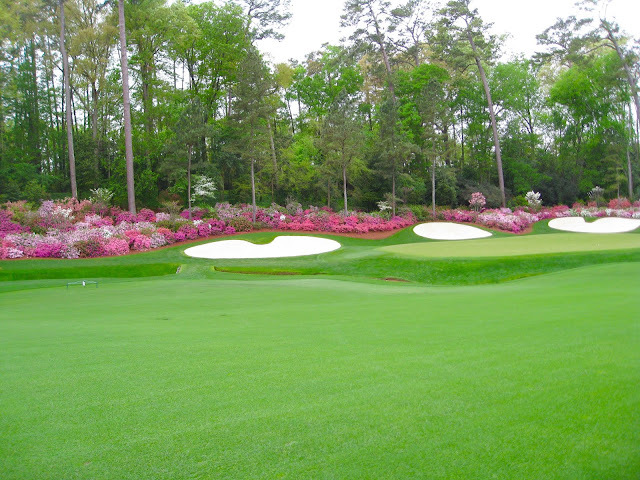 One of my very favorite things about the Masters is the gorgeous views. The pristine grounds are just perfect, the azaleas are blooming, and the weather is generally so nice this time of year. I leave there always thinking how wonderful it would be if my yard could look half as good! Honestly though, it is such an honor to be able to attend this prestigious tournament. I always remind myself how lucky I am when I get the chance to go and try to soak up every memory! 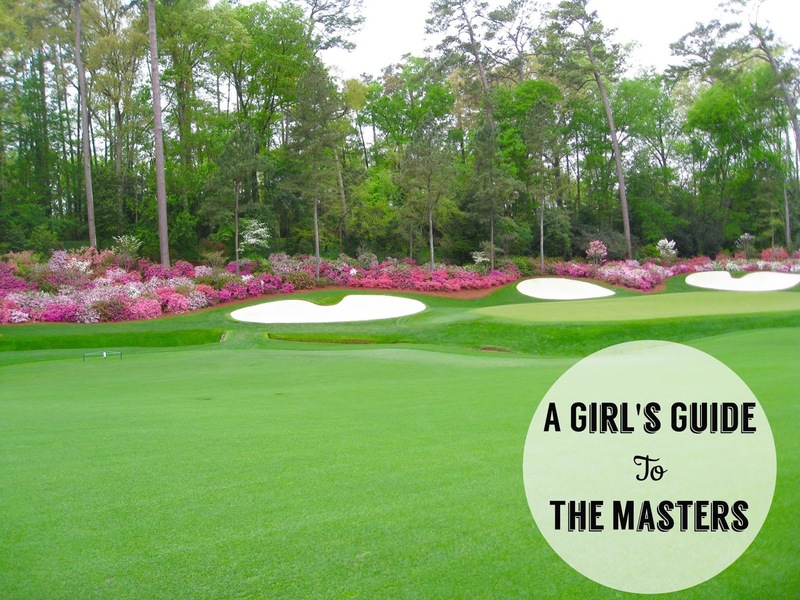 Have you been to The Masters? Do you have any tips or advice to share?